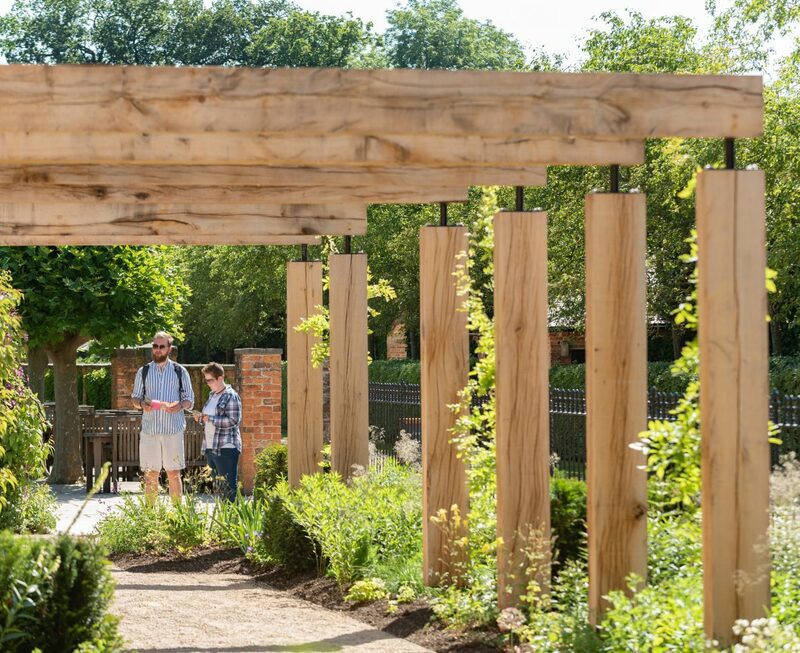 ‘The Pergola’ opened to the public in June 2018, creating a tranquil space offering dappled shade and sunny pockets. It is one of the first phases of the 10 year garden vision created by Andy Sturgeon Design. 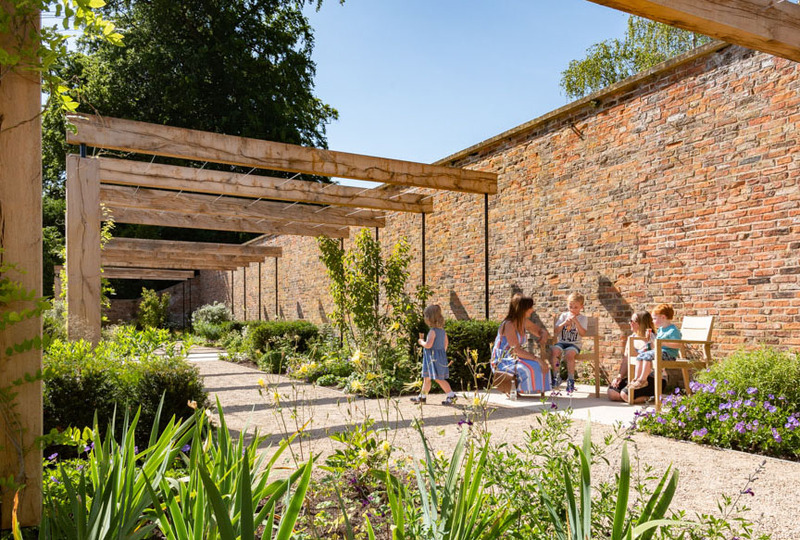 Inspired by the history of the site, a contemporary pergola structure echoes the form of an earlier glass house which once leant against this beautiful old wall. 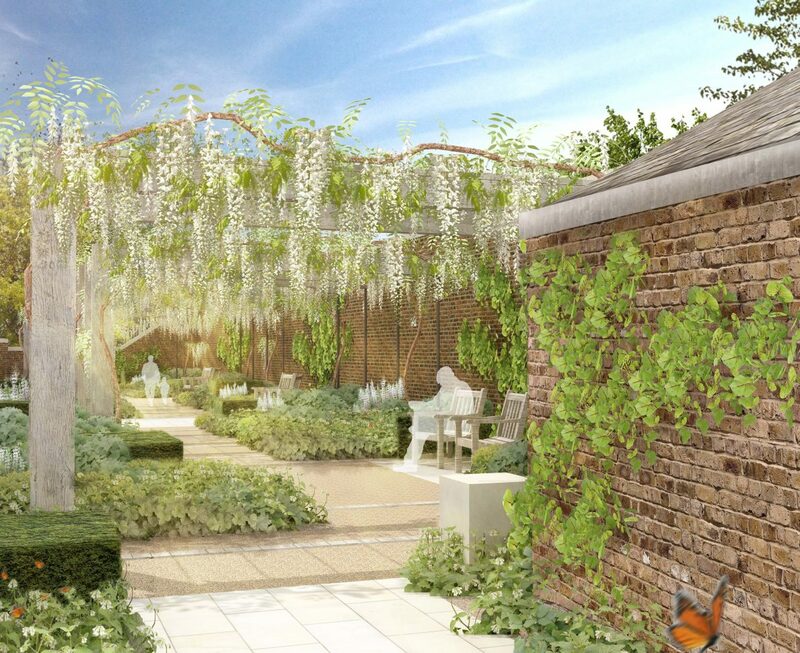 The air dried oak beams are draped in white wisteria to provide dappled shade in this otherwise sunny spot. 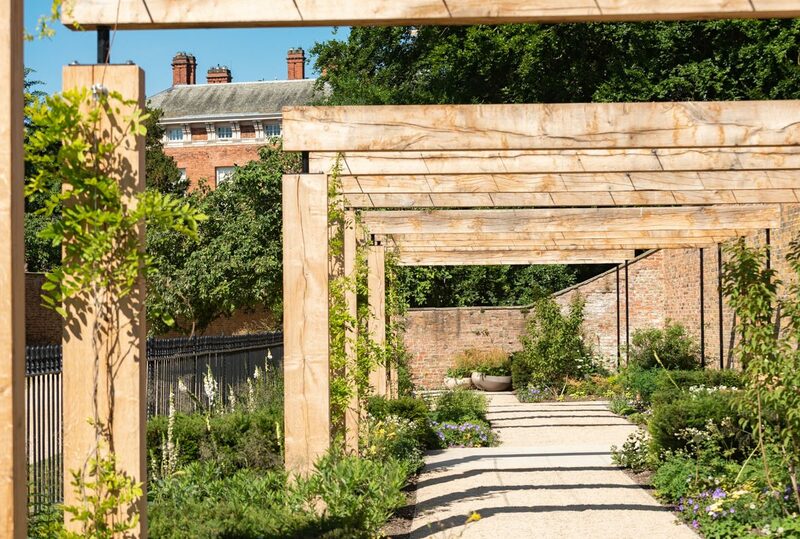 A gravel path is punctuated by York stone aprons making intimate places to sit and relax while the planting is a combination of strong, bold hedging blocks sitting amongst a restrained colour palette of grasses and perennials which are predominantly white flowering but drift off into soft pinks and pastel tones.